Parts carefully delivered to your doorstep. Our team of fireplace & stove experts are happy to answer any questions you may have about repairing your unit. We take our expert knowledge, huge buying power, and low overhead costs to bring you discounted prices on Vermont Castings products and parts. We offer warranties on everything we sell from the original manufacturers. With our latest technology, we are able to track your order from warehouse to doorstep. We also keep a database of your replacement part purchases to make future orders more simple. Looking to buy a new unit? Visit our brick and mortar store's website, www.fergusonfireplace.com, to browse our wide selection of fireplaces, inserts, and stoves from industry leading brands. 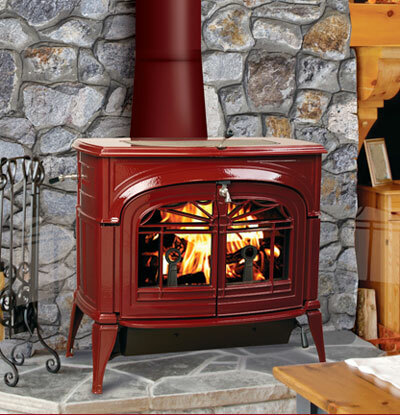 We have been in business in Michigan since 1981, offering Vermont Castings replacement parts for wood and gas burning fireplaces, stoves, and inserts. Our staff is trained to answer your questions about Vermont Castings products and installations. Please call us toll-free at 1-888-737-5911. Your fireplaces, stoves, and inserts are shipped by freight truck. Smaller items are shipped by UPS. It is the customer’s responsibility to unload the truck. This often means using planks to slide products off of the truck with help from a minimum of two people. Customers occasionally have their orders delivered to a place of business where a Hi-Lo is available. Please allow 2-3 weeks for delivery.